For months, SpaceX has been quietly meeting with the FCC to advocate for one of its least-known projects. 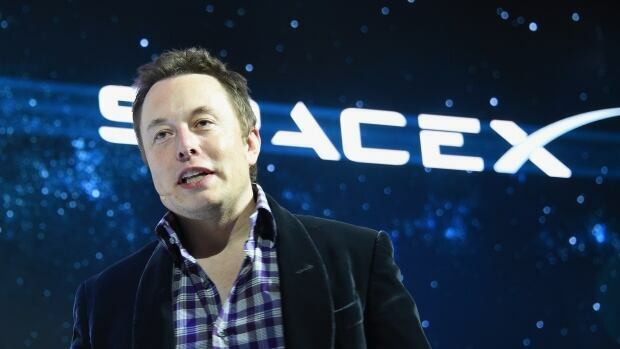 Musk has been batting around the idea of a “space internet” for years. According to recent disclosures, the company met with FCC officials twice in recent weeks: first with a wireless advisor on February 28th and again on March 10th with Chairman Pai himself. A proposal filed in November shows how the system would actually work: 4,425 satellites in non-geostationary orbit traveling in a tightly choreographed ballet 700 miles above the surface of the Earth, keeping at least one satellite 40 degrees above the horizon at nearly every spot on Earth. Companies have long toyed with the idea of a satellite network that delivers data directly to individual devices or small base stations. In the ‘90s, Motorola backed a similar project called Iridium. But, torn between spiraling investment costs and waning consumer interest, the project went bankrupt just nine months after launch. After an estimated $6 billion in development costs, the firm was bought by investors for $35 million in 2000. Iridium’s main competitor, the Qualcomm-backed Globalstar, met a similar fate. But now the dream of a globe-spanning satellite network looks like an increasingly feasible reality — particularly with 5G technologies just a few years away, promising new devices and new demand for data. That’s attracting investment from a batch of satellite providers that includes SpaceX, its longtime rival Boeing, and a more recent challenger called OneWeb, all of whom have proposed similar constellations. And all three would employ similar portions of the wireless spectrum to complete their network. The business risk of building such a network is substantial. The constellations will cost at least 6 billion dollars, with costs growing as each project scales up. With the constellations at least five years away from operation, many observers think it’s unlikely all three companies will go the distance, with funding and regulatory support consolidating around the likely winner. If the resulting winner becomes an integral part of the cellular network, it’s easy to envision making that money back — but it’s just as easy to imagine the whole thing spiraling into bankruptcy before reaching the finish line. Then, there’s the question of the FCC, which controls the airwaves those satellites will need to reach US customers. OneWeb was the first to submit an application for that spectrum, filing in June of last year. The commission responded with a call for proposals from anyone who wants to use the relevant wavelengths for a satellite-connectivity project. That inspired similar filings from SpaceX and other competitors — and in the coming months, the commission is expected to rule on all of them. Given the FCC’s traditional enthusiasm for market competition, observers expect a permissive ruling, inviting all the companies to use the relevant spectrum, but asking them to work together and stay out of each other’s way. Even after the ruling, the FCC will continue to play a key regulatory role, setting deadlines and stepping in if talks between the companies break down. There’s no indication Chairman Pai wants to pick winners in this new space race, but if one of the contenders starts missing deadlines and causing interference, he may have no choice. Against that backdrop, SpaceX’s meeting with Pai takes on greater significance. Musk has drawn criticism for his ties to the Trump administration, and just two days before the Pai meeting, he was at Trump Tower, joining real estate developers and cabinet members for a discussion of the president’s infrastructure plans.